Slim fit. 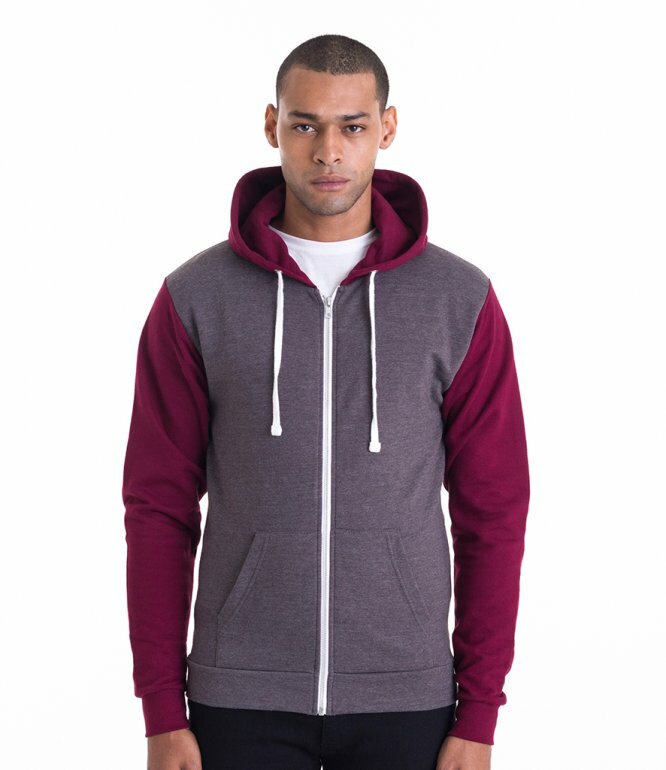 Double fabric hood with flat white drawcord. 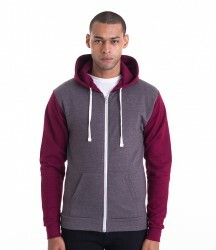 Contrast sleeves and hood. Full length metal YKK zip. Front pouch pockets. Ribbed cuffs and hem. Twin needle stitching. Tear out label. WRAP Certified Production.